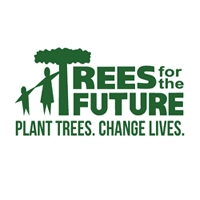 Home AJIRA TANZANIA JOBS TANZANIA New Jobs Tabora at Trees For The Future Inc Tanzania | Deadline: 31st October, 2018. New Jobs Tabora at Trees For The Future Inc Tanzania | Deadline: 31st October, 2018. Trees For The Future Inc, is an international NGO registered in Tanzania December 2015. Its main office is in Singida Central Tanzania. Trees For The Future Inc, works with local communities toIncrease household food security through diversifying food production, Increase household resilience to economic instability through diversifying production of market – driven agricultural products, Increase productivity of rural landscapes by establishing environmentally responsible agricultural systems and Plant trees to improve soil fertility and restore environmental health. Trees For The Future is seeking qualified Tanzanian to fill vacant positions below in Tabora. It is full time job. purchasing, arranging and distribution of all project tools, planting materials, etc. ; organizing and conducting all training activities; creating project budgets and timelines and visiting farmers’ Forest Garden sites regularly to provide technical support and to conduct data collection and evaluation.  Provides information and accomplishes additional tasks in a timely manner as requested by Country Coordinator, Program Directors, and HQ. A Trees for the Future (TREES) Assistant Technician (AT) is responsible for aiding in the successful management and implementation of a Forest Garden Project. The AT will work closely with Farmer Groups and individual project farmers, spread out within Urambo and Uyui districts. S/he is responsible for: helping to coordinate and manage all project activities; liaising with Lead Farmers of each Farmer Group to schedule and facilitate implementation of project activities; Arranging and distribution of project tools, planting materials, etc. ; organizing and helping to conduct all training activities; and visiting farmers’ Forest Garden sites regularly to provide technical support and to conduct data collection and evaluation. Core duties and responsibilities include, but are not limited to the following.  Provides information and accomplish additional tasks in a timely manner as requested by the Lead Technician. arranging and distribution of project tools, planting materials, etc. ; organizing and helping to conduct all training activities; and visiting farmers’ Forest Garden sites regularly to provide technical support and to conduct data collection and evaluation. Interested candidate please send applications and CVs to [email protected] not later than 31st October, 2018.